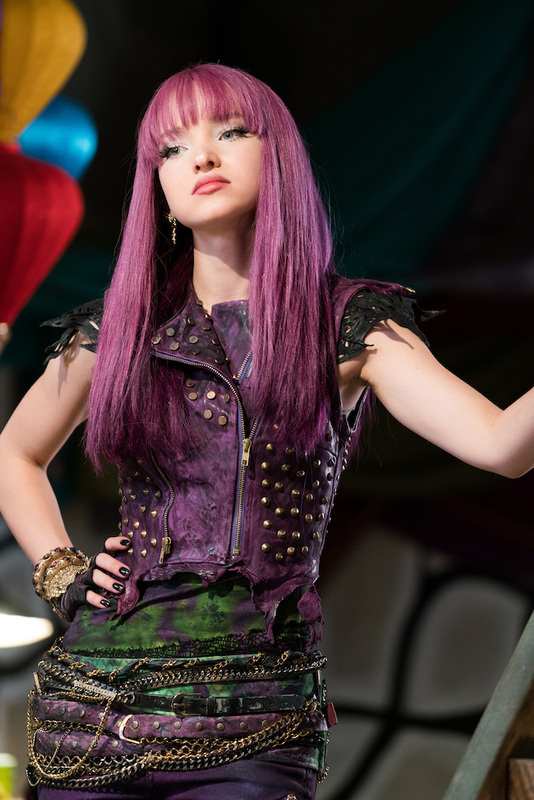 Yes, you read that headline right—we're getting a Descendants 3! Disney Channel announced the third installment of the hit franchise on Friday during the premiere of their latest DCOM, Zombies. Descendants premiered in 2015, Descendants 2 in 2017 and Descendants 3 will drop in the summer of 2019. Slowly but surely, the cast took to social media to post their reactions to the announcement. Watch their reactions! In addition to the post below, Dove Cameron (Mal) told her Instagram followers via her story that she just learned the news recently, too, so the excitement was still very fresh. So—Mal's *dad* is joining the cast of characters in D3. This is going to be so interesting! Sofia Carson, who plays Evie, also squealed with excitement, telling fans, "On a scale of one to 10, my excitement level is at like a solid 11 million." Same, Sofia! Former Jessie star Cameron Boyce—who you know and love as Carlos in the flims—added in another post, "It should be epic—judging off of the first two, right?" This gif—which looks like it was taken during rehearsals for Descendants 2—post made us seriously LOL, too! BooBoo Stewart (Jay) thanked the fans for enjoying the movies enough to want a third—so sweet! Aussie Mitchell Hope seems stoked, too! The crew wouldn't be complete without a message from China Anne McClain. It's goin' down! Filming on Descendants 3 begins this summer in Vancouver, Canada. Are you stoked for Descendants 3? What do you think Mal, Evie, Carlos and Jay will get up to this time around? Share your predictions below!